Jared Loughner Pleads Guilty To Arizona Shootings : The Two-Way Under the plea agreement, Loughner avoids the death penalty. A judge found that Loughner was competent enough to understand the gravity of the charges against him. 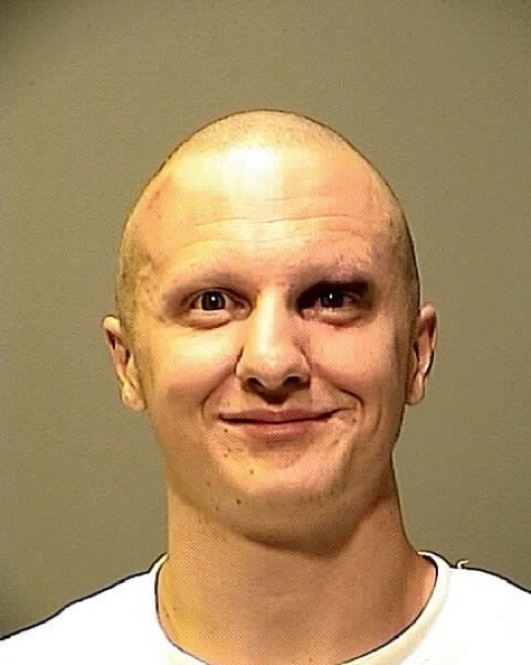 Loughner targeted former Rep. Gabrielle Giffords during the mass shooting. Jared Loughner, the man accused of going on a shooting spree during a meet-and-greet held by former Rep. Gabrielle Giffords in Tucson, Ariz., pleaded guilty today. The shooting spree left six people dead and 13 others wounded. "Loughner's plea Tuesday allows him to avoid the death penalty in a mass shooting that gained worldwide attention in January 2011 because his intended target was the congresswoman. Among the dead were Arizona's chief federal judge and a Giffords aide. "Federal Judge Larry A. Burns had found that Loughner was mentally unfit to stand trial. He ruled on Tuesday that months of forcibly medicating him to treat his schizophrenia made him competent to understand the gravity of the charges against him and assist in his own defense." "My personal observations of him leave no questions in my mind that Loughner knows what's going on today," Burns said, according to The Arizona Republic. "When Pietz diagnosed Loughner with schizophrenia after the shootings in 2011, he was described as being 'disappointed, upset.' He told her he wished he took depression medication, Pietz said. Pietz said she believed medication had subsequently helped Loughner because he began making comments about feeling badly about what he had done. He also showed some understanding of his actions, saying he wanted to be executed and crying about a child's death in the event. "Pietz also said Loughner expressed shock that Giffords survived, telling her he was disappointed that he failed to kill the lawmaker. He said of himself, 'Jared is a failure.' "
The AP reports that Loughner listened "calmly and without expression" during the hearing. This handout provided by the Pima County Sheriff's Forensic Unit shows Jared Lee Loghner. Loughner is expected to be sentenced to life in prison without parole. Reuters reports that Loughner pleaded guilty to 19 criminal counts "stemming from the killing of six people and wounding of 13 others." The Arizona Republic reports that 30 other charges were dropped. Paul Birmingham, of Tucson's KNST, reports on Twitter that during the hearing Loughner agreed with the facts of the case as read by the judge and that he will be sentenced on Nov. 15. "It is my hope that this decision will allow the Tucson community, and the nation, to continue the healing process free of what would likely be extended trial and pre-trial proceedings that would not have a certain outcome. The prosecutors and agents assigned to this matter have done an outstanding job and have ensured that justice has been done. "In making the determination not to seek the death penalty, I took into consideration the views of the victims and survivor families, the recommendations of the prosecutors assigned to the case, and the applicable law." CNN spoke to the wife of 76-year-old Dorwan Stoddard, who was killed during the shooting. Mavy Stoddard gave the interview before the guilty plea was entered. But she said she didn't care if Loughner received the death penalty. "I think life in prison would be a lot worse and ... if his mind is kept under sedation he may learn about the Lord, and that's important to me," she said. She also said that if she were faced with Loughner, she would tell him, "I don't hate you, and I do forgive you." Steve Shadley, of NPR's member station KUAZ, tells our Newscast unit that Loughner was "stoic" throughout the hearing. "He was slurring his words slightly," Shadley said, and he spoke very carefully and slowly. Shadley added that sometimes he had a "1,000-mile stare." Earlier today with news of an expected plea deal, Giffords, along with her husband, Mark Kelly, put out a statement saying they were satisfied with a deal. "The pain and loss caused by the events of Jan. 8, 2011, are incalculable," they said. "Avoiding a trial will allow us — and we hope the whole Southern Arizona community — to continue with our recovery."